The ancient art of Cambodian dance was nearly lost when the Khmer Rouge ruled the country in the 1970s. Dancers who survived have striven to preserve the endangered technique and repertoire, both in Cambodia and in the communities where they resettled. 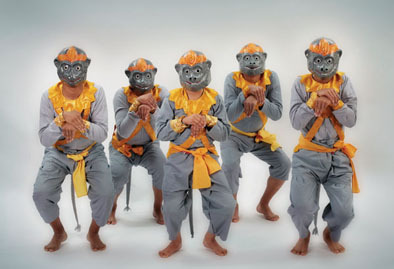 Performers use monkey masks in a dance based on Cambodia's version of the epic Indian tale, the Ramayana. In Cambodian legend, monkeys are considered soldiers who fight evil.